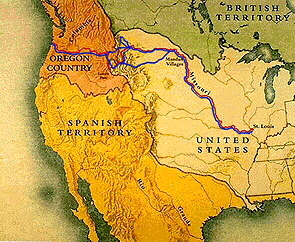 The Lewis & Clark Expedition in Idaho and Western Montana. 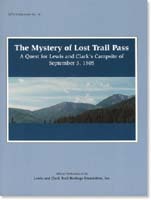 The story of the Lewis & Clark Expedition in the most difficult part of the entire route to the Pacific. This day-by-day interpretation was written by James R. Fazio, complete with numerous side bars providing interesting insights on topics ranging from Peace Medals to lookout towers you can rent. Over 90 color photos, mostly by professional photographer Mike Venso, with 8 accurate maps by trail researcher Steve Russell. 204 pp., hardback. 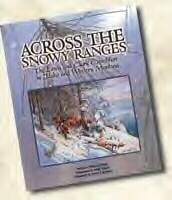 First edition--a Bicentennial Commemorative. No other book provides such a quick, condensed overview of the exciting Lewis & Clark Expedition. It is richly illustrated with colorful art and photos. Full of factsÑwhere they went, what they took along, who they were, who they met, what they ate, and much, much more. Written by Lewis & Clark scholar and popular author Barbara Fifer, this is an excellent book for school-agers, busy teachers, or any adult. 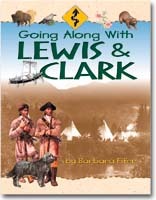 It is a "must have" book for anyone with an interest in the Lewis & Clark Expedition. The heroine of the Lewis and Clark Expedition will soon grace our new dollar coins. She is also the subject of many fiction books and movies. Here at last is a thorough, easy-to-read book that reveals exactly what is known of this unusual woman. It is a "must" read before the upcoming Bicentennial! (96 pp., illustrated). An 87-minute video that covers the expedition's route from Monticello to the Pacific. Outstanding photography by film-maker Robin D. Williams, and well organized to present what is one of the best overviews of the journey ever produced. 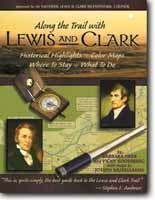 Outstanding modern maps, rich historical detail, and up to-date directories combine to make this the best guide ever produced for following the Lewis and Clark Trail. New in 1998. It's been called "a puzzle wrapped in a mystery." Where was the expedition's route of Sept. 2-4, 1805, and where did they spend that cold, wet night of Sept. 3? Five authors present arguments to support their ideas, complete with maps. But you be the judge. 76 pages.